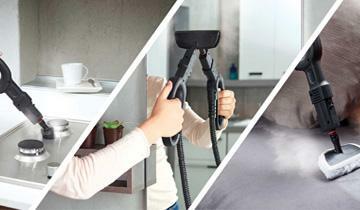 Vaporetto Smart 40 Mop is a steam cleaner that combines the strength of steam, generated by a high pressure boiler, with a practical steam mop, thanks to the Vaporforce brush. Compact and provided with a complete set of accessories to effectively clean a number of surfaces: from floors to blinds, from hobs to curtains, from bathroom fixtures to plants and much more. The new polygonal brush has a wide steam delivery surface which combines with excellent flexibility to get into even hard to reach spaces, guaranteeing faster and more effective cleaning. The integrated bristles make it easier to remove caked on dirt, as the power of steam works with the abrasive action of the bristles. *Compared to the traditional brush in the Smart and Comfort series. 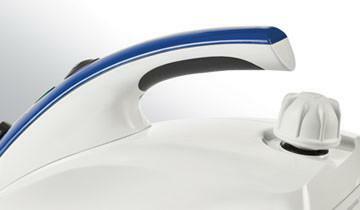 99.99% of germs and bacteria are killed by the power of Vaporetto steam, proven effective in independent studies. 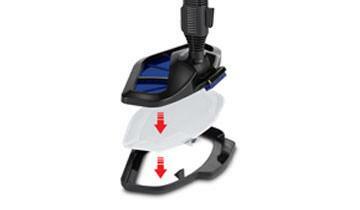 Thanks to the simple attach/detach system, you don't have to bend down to attach the cloth to the brush. In fact, Vaporetto Smart 40_Mop combines the practical ease of a broom with the strength of steam offered by a cylinder steam cleaner with boiler. 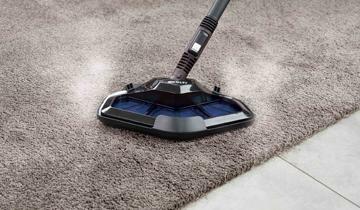 Vaporetto Smart 40_Mop has a special frame that allows it to move easily over carpets and rugs, allowing you to clean these surfaces with steam, eliminating dust and unpleasant odours and removing dirt. 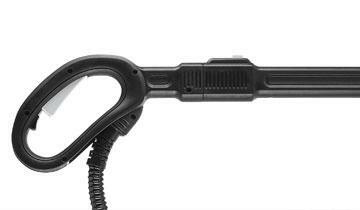 All the accessories, including the extension tubes and the Vaporforce brush, can be placed in the rear compartment, offering the dual advantage of keeping everything within reach while cleaning and keeping everything organised when the work is done. Using the various provided accessories, you can clean different surfaces: taps, bathroom fixtures, tile grouting, mirrors and windows, hobs and burners, radiators and rolling shutters, cabinets and doors, clothing and curtains. Technology at the service of safety. The Vaporetto cap does not unscrew if there is even a minimal residual pressure inside the boiler. 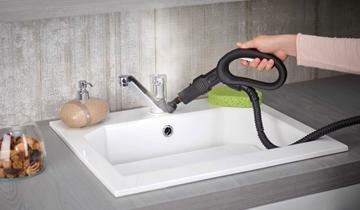 The steam hose offers a lighter and more practical ergonomic handle to which accessories connect directly, without the need for an adaptor. Using the steam concentrator, stains and hard to remove dirt like grease and limescale won't be around for long. 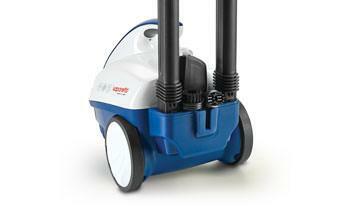 Floor brush with a 55% larger cleaning surface*: the polygonal shape makes cleaning faster, even in the tightest corners. The openings throughout the surface ensure deep down clean. This frame, used in combination with the floor brush, can clean carpets and rugs. For use on upholstered items and mattresses together with the sockette. The rubber blade offers sparkling windows with no streaks that stay cleaner longer. 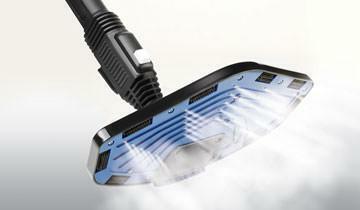 Attached to the handle, they combine concentrated steam with effective abrasive action. In various colours and sizes for different types of use. 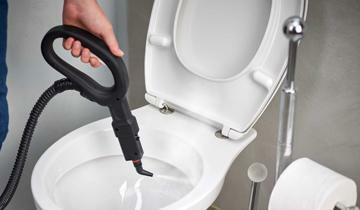 Ideal for cleaning bathroom fixtures, bathtubs, hob burners, the refrigerator and tile grouting. Sockette to collect the dirt that is dissolved during steam cleaning. Can also be used on mattresses and fabrics. To quickly fill the boiler.